Our primary services are residential & commercial landscaping and year-round seasonal property maintenance. We install it and maintain it, so you can relax and enjoy it. We want to be involved with your next yard care or landscaping project! 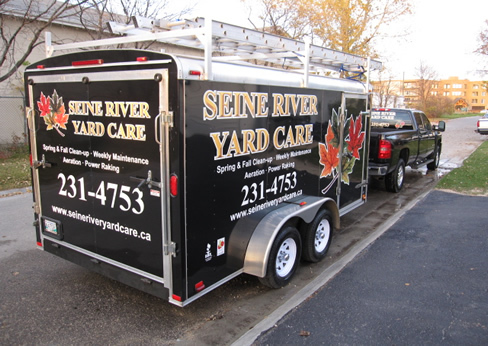 Neil & Suzanne Morgan-Gravel started Seine River Yard Care in 2006. We are based in Old St. Boniface in Winnipeg, and service St. Boniface & St. Vital. We are a family run business, and are proud to say we are locally owned & operated. We are a member in good standing with the Better Business Bureau of Manitoba, and Worker's Compensation Board. Seine River Yard Care is a proud provider for the Veteran's Independence Program, providing our veteran members with the service they deserve. We owe it to them for their service and sacrifice, and we're honoured to provide this service.